The Northern Colorado region is located upon the northernmost end of the state's major growth corridor along Interstate I-25 and the Front Range. The region is made up of two counties, Larimer and Weld. The region is also known as the Tri-City Region because a great deal of the development takes place in the region’s three major cities: Fort Collins, Greeley, and Loveland. However, the two-county region has more than 60 different communities and supports a population of more than 500,000. The region is also home to two major universities, Colorado State University and University of Northern Colorado, and two excellent community colleges, Aims Community College and Front Range Community College. With such great educational presence in the region it boasts a highly educated workforce. 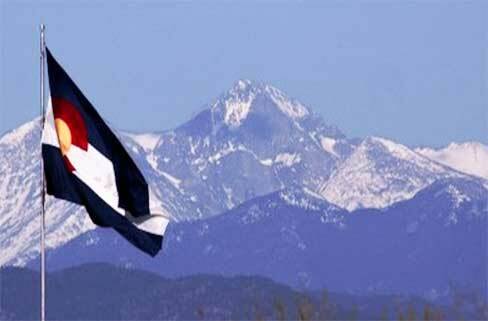 Colorado ranks fifth in the nation for percentage of residents with a bachelor’s degree. Northern Colorado is also well known for its numerous high-tech employers, which draw a wealth of knowledge-based employees. Those employees and their families add an additional appeal to this community, as they represent a rich pool of potential workers. Northern Colorado commands the second-largest labor force in Colorado, just behind that of the Denver metropolitan area to the south. The region’s workforce is a fluid one. Transportation corridors linking Northern Colorado communities make it possible for workers to choose to live in one community and work in another. The cost of living in Northern Colorado cities reflects the national average. With the median cost of living in the U.S. as 100, the American Chamber of Commerce Researchers Association (ACCRA) lists the Third Quarter 2008 composite Cost of Living Index for Loveland at 94.1. Geographically, Northern Colorado consists of a scenic combination of the sweeping grasslands of the Great Plains to the east and picturesque Rocky Mountains to the west. The region has temperate winters and a relatively mild year-round climate with community elevations ranging from 7,530 feet above sea level at Estes Park to 4,620 feet above sea level at Kersey east of Greeley. Local tourist attractions in the area include the Poudre River Canyon, Rocky Mountain National Park, and Pawnee National Grasslands to name a few. Northern Colorado is ideally located for access to major air, motor, and rail arteries, with Denver’s International Airport (DEN) approximately one hour away from the three major cities. There is a wide-range of convenient door-to-door pick up and drop off shuttle services to and from DIA within this region as well (and one is right outside the door of the Loveland Chamber of Commerce). Set against the backdrop of the Rocky Mountains on I-25 between the growing cities of Fort Collins, Loveland, and Greeley, Northern Colorado Regional Airport (FNL) serves as a transportation hub for a full range of aviation users – including general aviation/corporate, commercial, and military. 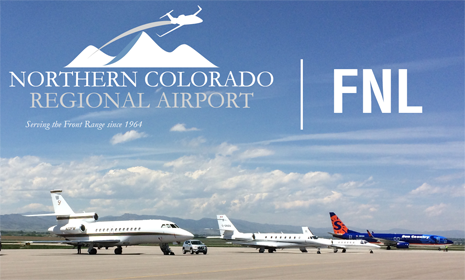 The airport is home to a number of businesses and corporate flight departments that support the region’s economy and connect Northern Colorado to the U.S. and world.